Oneway - new name, the same smart concept! Envägen is changing it´s name to Oneway. We have developed a new profile which, among other things, means that we will be changing the logo and the appearance of the trailers. The idea with the Oneway concept is as simple as the function: Your need is to carry a load over a longer distance, but only in one direction. 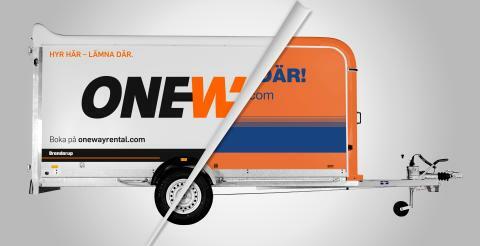 With Oneway you rent a trailer at the start of the journey and return it at the end of your destination. Through a well-developed network of depots, Oneway is present in almost all major cities in Sweden, from Trelleborg to Kiruna. We are actively working to be represented in all parts of the country and thereby being able to offer our customers as good availability as possible. 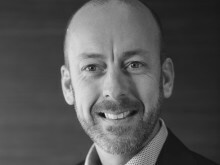 Oneway is the most public change in the overall transformation from Thule Rental to Brenderup. By this Rental and Oneway will become an important and distinct element of the Brenderup Group - where we are focusing on Brenderups continuous product development to create attractive products and services. For both our partners and end customers, this means a greater sense of security, a guarantee of quality and extended sales opportunities. Scandinavia’s largest – and one of Europe’s – leading providers of trailers. We develop and manufacture trailers for private, semi-professional and professional areas of use. We make it easy for our customers to transport their boat or jet skis to the water’s edge and support your transportation needs for garden or house refurbishment projects. But we also make it easy for tradesmen to carry all their tools and materials to their place of work.